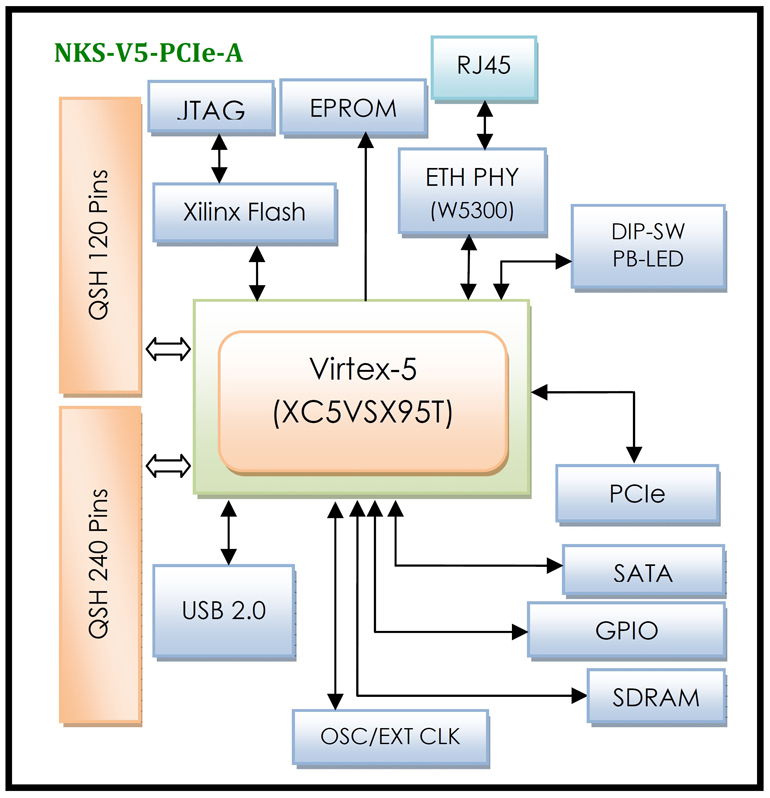 The NKS-V5-PCIe-A is a QSH industrial carrier card based on the Xilinx Virtex-5 SX95T FPGA family and plugged into a serial PCIe bus system unit supporting 1x, 4x and 8x PCIe datapaths. 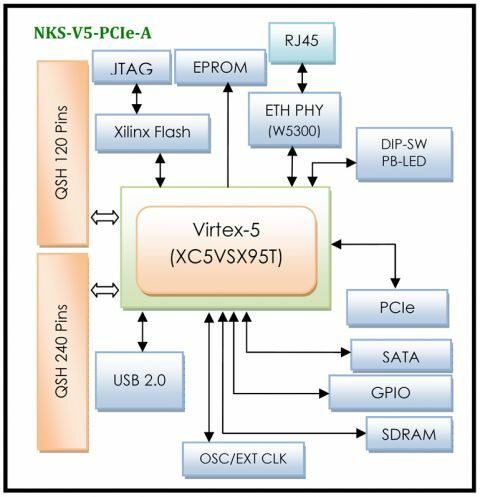 This board also provides a developed platform for designing and verifying Virtex-5 FPGA based PCIe and Stand-Alone applications. SATA II interface is suitable for high performance digital IF sampling. Communication with a host computer via the PCIe bus and other interfaces enables users to control the card, modify algorithm settings and process real-time signals. 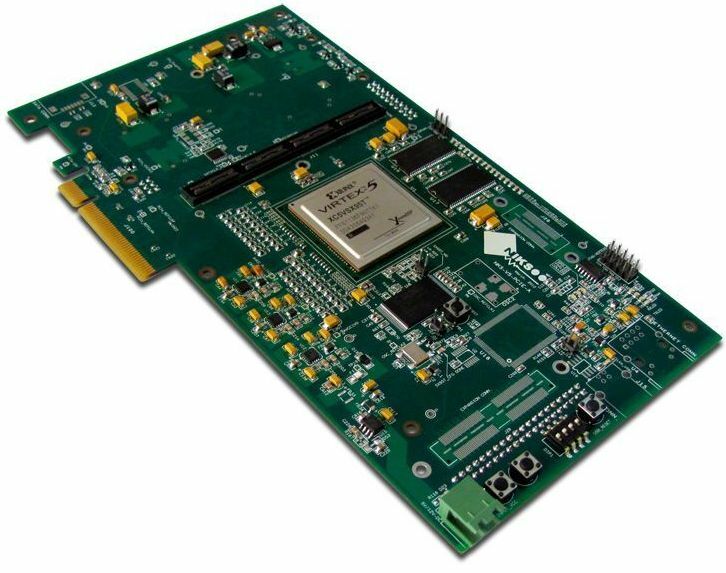 Additionally, this card can transfer high bandwidth data through QSH/QTH standard modules.